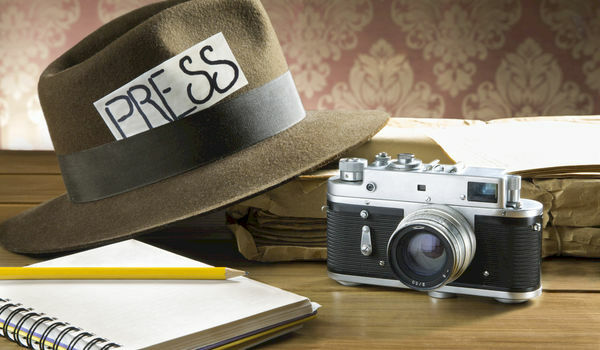 Do You Really Need to Invite the Press to Your Next Event? newslatest newsDo You Really Need to Invite the Press to Your Next Event? The short answer is... it depends. You may waste countless of hours designing a media strategy to attract the local newspapers or TV simply because that's what you think you should do. No doubt, media exposure is crucial, yet it will only give you positive results when you do it right. Do you want to position your event as an industry reference? Is your intention to showcase your success as an event professional? Or maybe you want to help your speakers get as much exposure as possible? Considering this, let's take the local newspapers, for example. Who are their audiences? Do you really want to reach out to these same people? What if you have a very specific event and these newspapers' readers aren't actually interested in your conference, trade show, or seminar? You'll lose the possibility to really make an impact and talk to a high-quality audience who truly cares. Often, bloggers have a greater impact than traditional media outlets. They have access to a specialized 'fan base' and are interested in producing news for them. Your event can be the perfect occasion for industry bloggers to write an engaging piece for their audience. By inviting them, you’ll get great exposure, reaching people who are interested in knowing more about the event. Don't hesitate to encourage this win-win situation and make a list of important industry bloggers you could invite. Moreover, you could take this collaboration one step further and offer these bloggers a chance to go onstage and participate in a round table on industry topics that matter to the attendees. By giving these bloggers the possibility to speak at your event, you'll have the right to train them in the pre-event promotion plan. Most certainly, they’ll want to tell their audiences where they were invited and what they’re going to talk about. Vloggers constitute another important digital media category. Famous YouTubers gather millions of followers and often position themselves as 'industry' stars (whether it's cosmetics, programming, or gastronomy). By inviting vloggers to your event, you’ll have access to an incredible audience. In exchange, you could offer these YouTube sensations VIP privileges, access to the speakers, and promotion. In return, you can ask them to record a vlog from your event. Did you design a unique event or dynamic? Did you manage to plan an extraordinary brand event? Have you set up an efficient and meaningful networking experience for your attendees that nobody else has tried before? You have a great opportunity to transform all of this into news, this way positioning yourself as a successful event professional. How can you do that? By inviting event planning media outlets such as eventplanner.tv, for example. Work on your media exposure as a professional and add social proof under your belt. We can't call these people media outlets, yet their word will definitely change the way people think about your event. Make a list of industry influencers and invite them to your event. Offer them VIP access and make sure they'll enjoy their time at your event. In addition, find ways in which you could add value to influencers by offering them the chance to promote their services or products or meet potential customers and investors at your event. Let's say that your intention is to get some exposure from big media outlets, yet you know you can't reach them. What you do, then? Invite smaller blogs to cover your event. As famous marketer and entrepreneur, Ryan Holiday, highlights in his book, Trust Me, I'm Lying: Confessions of a Media Manipulator, big media outlets don’t bother with news hunting - they simply retrieve news from smaller blogs. So if you can manage to make others talk about you, you just might end up on the pages of more influential media outlets. Try it! If you want to achieve a greater impact from media exposure, you must understand how the news industry works. The most important rule in this case is to always understand the audience profile of different media outlets and know who to connect with. Think about your goals and use your media strategy as a tool to accomplish them. Forget about the traditional media if they don't match your target audience, and try these alternative possibilities instead.